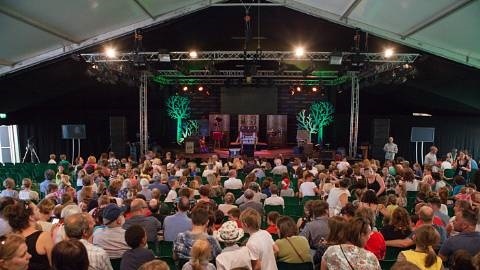 Sustainability is core to Hay Festival, both on stage and in the development of the Festival as an organisation. Green Hay programmes a sustainability-focused series of events throughout the 11 days of the Festival, exploring current issues, new developments and technical advances. For the full programme please see hayfestival.org. 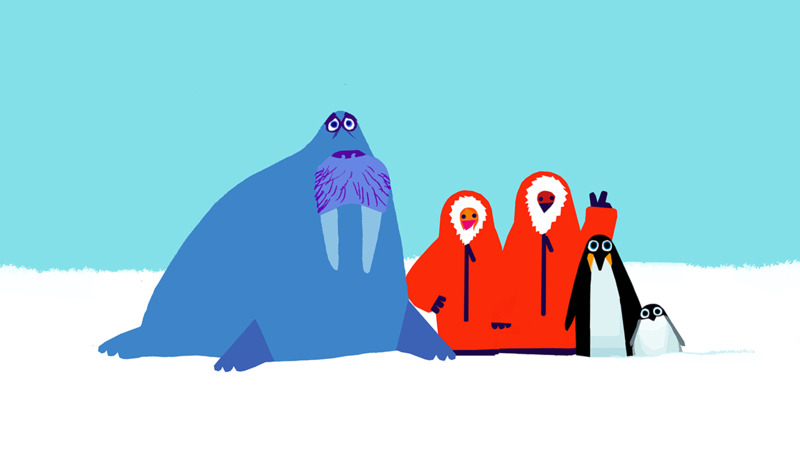 The social and financial impacts of running the Festival are part of Green Hay’s focus. Initiatives include working with partners at the Woodland Trust and the National Trust to plant 30 acres of woodland to mark the Festival’s 30th anniversary; providing free tickets for students in higher education; supporting the local community through free loan of the Festival’s thermal imaging camera for building insulation assessments; and providing funding to maintain opening hours for Hay Public Library. 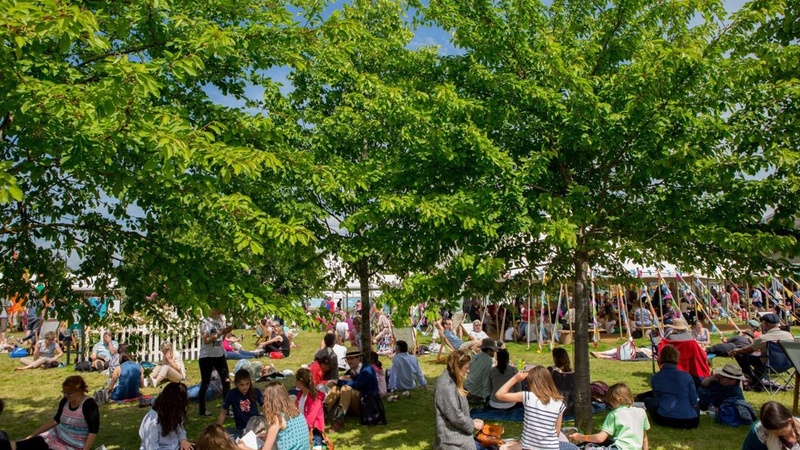 Hay Festival has developed a programme of managing and mitigating the environmental impact of creating a live festival, focusing on energy, waste, transport, procurement and venues. In 2018 we recycled 82% of the waste produced on site. This included six tonnes of cardboard and paper, four tonnes of plastic and cans and 5.95 tonnes of glass. Nine tonnes of carpet, 225 litres of cooking oil for biodiesel use and 12.65 tonnes of food and other materials were composted. The mains electricity supplier for the Festival site is Good Energy, providing 100% renewable energy. Hay Festival reduces the impact of travel by providing regular public buses from the nearest train station in Hereford. It also provides minibuses that link festival-goers with local B&Bs and surrounding villages and towns. There are free electric car recharging points at our park & ride car park at Clyro Court. If you are coming by car, please offset the CO2 emissions with our partners Energy Revolution (energy-revolution.org.uk), a collaboration between festivals and festival-goers. Last year Hay Festival was the first festival to trial a new, reusable hot drinks cup. It resulted in a reduction in waste from 350 wheelie bins full of disposable coffee cups down to 25. This year there will be a deposit scheme for coffee/tea cups and beer/wine glasses running across the Festival site. A £1 deposit will be collected at the point of sale for each cup or glass served; this will be refunded to you on return at one of our three Cup Return Points on site. Alternatively, bring your own cup and get a discount when you buy hot drinks at all Coffee Cart outlets. Water standpipes are available across the site so that festival-goers can fill their own drinking bottles with beautiful Welsh water. Thank you for helping us make Hay Festival more sustainable. 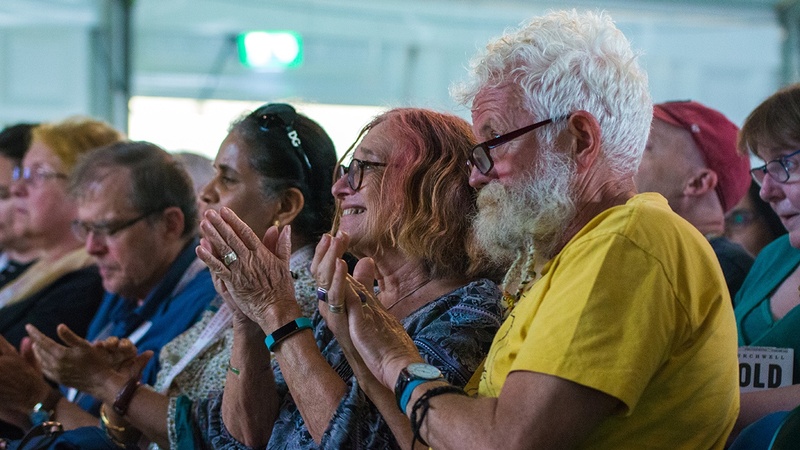 Hay Festival continues to develop ideas and practice in sustainability and believes that debate increases awareness, and good practice increases change in local communities, in business and in society. 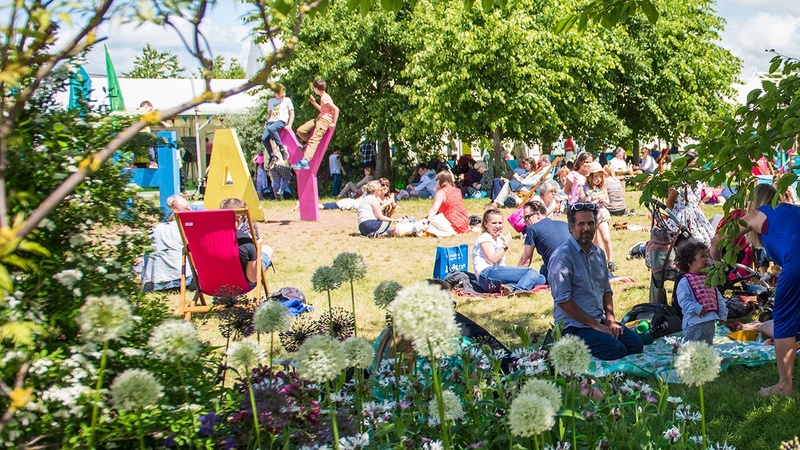 Hay Festival is actively looking for organisations, public bodies and individuals who can help to achieve these objectives. Please contact andy@hayfestival.org.